Dave Beson has presented 34 years in a row at NAR (National Association of REALTORS) and recently completed an international tour of Spain, Portugal, Italy, Greece, and Austria. He adds these countries to Australia, New Zealand, Mexico, South Africa, Ireland and other locations which challenge normal marketing thoughts and usual business practices in the real estate industry. Dave is connected to top agents around the world, and consults with companies and super achiever salespeople on how to improve their marketing, their service, and their overall performance. He appears frequently as a real estate expert on satellite TV and radio talk shows. If you are dealing with commission, competition, listing and pricing challenges, and the usual concerns of getting energy focused in the most productive and profitable direction, you can call upon Dave and benefit from over 34 years experience with over 3,000 successful seminars. Today, real estate professionals are facing inventory shortages. On top of that, they are dealing with self-assured sellers. Buyers are bewildered! They missed their opportunity to get in at the low price – what to do now? Dave has answers to these important questions – and more! Dave Beson shows easy and effective ways to profit with vision, values, and velocity, teaching real estate professionals to refine their vision, to work within “total integrity”, and to use technology tools and systems to increase their velocity in business. This creates time and energy to spend on family and life outside the daily buzz of real estate. This is how Dave Beson helps real estate professionals BRING SUCCESS TO LIFE! Dave is known for being relatable, informed, inspirational, and yes…entertaining! “By working together, we will find ways to win faster in a challenging market”. We value our client partners and look forward to helping make your next meeting, webinar, video or conference a huge success! While planning your events, please consider the below top topics. These sessions represent over 30 years of experience and thousands of presentations in every market and marketplace. Dave presents and represents the thoughts and proven business systems of over 1,000 agents around the world, including single producing agents, teams, and MEGA-PRODUCING teams that sell over 400 homes in a year. Our management-oriented content is designed around leadership and results in a competitive marketplace and changing times. Each seminar or presentation is a selection of the best ideas and systems that create wins and results for YOUR PEOPLE in YOUR MARKET. 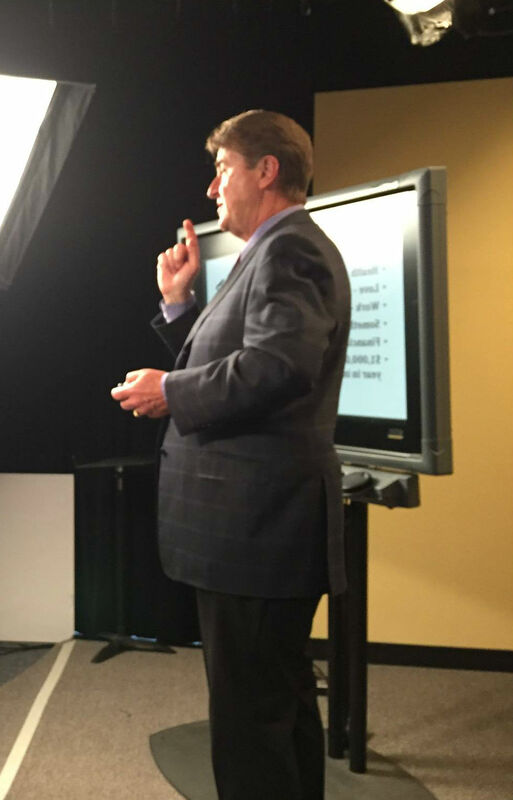 The seminars, webinars, and videos always get RAVE REVIEWS from clients because we offer customized programs, reasonable speaking fees, and fresh, compelling and unique content. Don’t see what you’re looking for? Let us know! Dave can create a new seminar and/or tailor any topic to your specifications! My idea of a perfect real estate practice includes influencing with integrity, leading a life of prosperity and charity, and bringing others along on the journey of discovery and excellence! If you can lead and mentor, you can live a legendary life! I have been blessed to know and work with more than a dozen legends. You will prosper from my sharing knowledge of these masterful salespeople! A success system and extreme results really can’t be designed by one person or even by a team, without interaction and customer feedback. Therefore, my interest is in tested systems that have already worked, and are producing visible results. We know and show you what is working – RIGHT NOW! Make your life easier, richer, and more fun by taking care of your clients – for life! Ignore your past customers and clients, and they will forget you. Many agents work for years to get their business going, but because they fail to stay in touch with every client, every month they lose their best customers to newer agents or competition. If you knew you were going to stay in the real estate business for ten, twenty, thirty years, or more, when would you start doing the right things? Now is the time to protect your business and give yourself a raise. Attend this seminar and use a proven combination of messages, media, and personal contacts to connect and stay connected, with pleasure. It’s not too late to do the right things! HOW TO NEGOTIATE ANYTHING - ANYWHERE! The best negotiators know how to get what they want – by helping customers and clients get what they want. It’s a “win-win” approach that is “hard on the problem”, but “soft on the people”. If you’ve ever left a negotiation feeling you gave up too much, or failed to stand up for yourself, your offer, or your sellers, this 3-hour seminar is for you. Focus intensely on the interests of the parties, rather than what they state as their positions. Dave will show you how to protect your commission, write better offers, and get the listing at the right price by increasing your personal and professional negotiating power. Schedule this 3 hour program to get the most tools and techniques for your money! To check for availability, fill in the contact form with details of your event.